When Uttar Pradesh assembly election 2017 is getting ready to electios new Assembly, Pilibhit is not anywhere behind in the election heat. 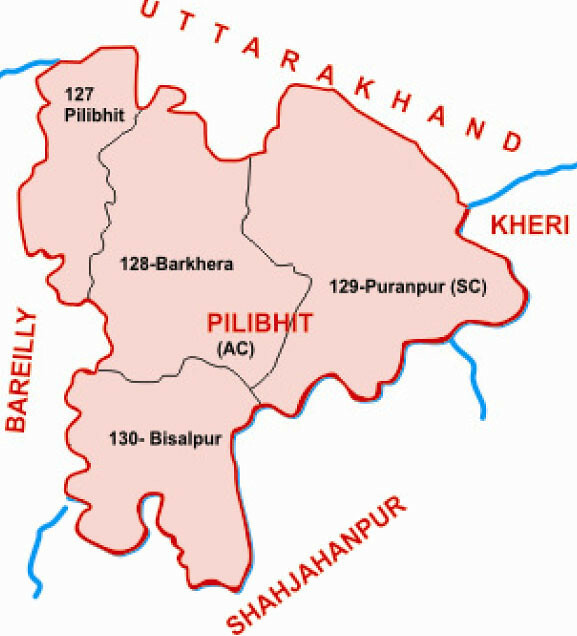 Pilibhit district is one of the districts in the state of Uttar Pradesh in India, and Pilibhit city is the district headquarters. Pilibhit district is a part of Bareilly Division. The city is famous for its contribution to Bollywood, Urdu literature and its involvement in Politics of India. Pilibhit has produced as many as three song writers for Bollywood namely Anjum Pilibhiti, Akhtar Pilibhiti, and Rafiq Alam. The district has elected eleven central ministers in 14 parliamentary elections. The sitting member of 14th parliament from Pilibhit constituency Smt. Menaka Gandhi is India's first lady member of parliament, who was elected more than five times from a single constituency. Due to dense Sikh population in the district, it is also known as Mini Punjab as after Partition of India in 1947, a large number of Sikhs came from Pakistan and Punjab to this area, and government resettled them in the area. The district Pilibhit is also home to thousands of Bengali people, who came here after 1947.